Cool pyjamas! And Pingu is cute, I used to watch that programme. Also, the picture in the background of the dragon and the castle looks fantastic. Wah, what a cute outfit. 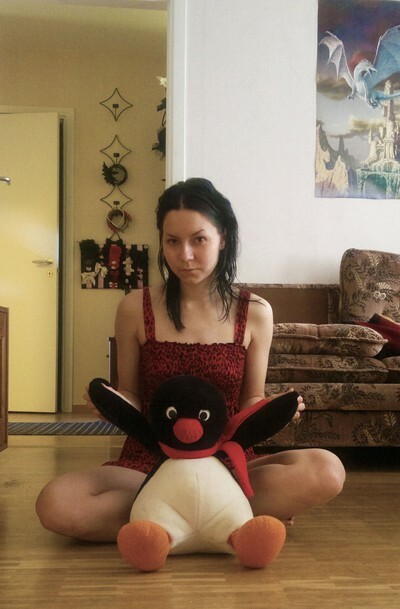 I love the contrast of your nearly annoyed looking face and this cheery penguin, wonderful. Fint nattlinne! Leopard är alltid awsome.